When we have an aim in our life and are working for it, we sometimes are not able to bring into practice all that we're planning to do... We then tend to become disheartened and give up after trying for some time. Thus we lose out on the benefit that our thoughts can bring in our life and in the life of others. 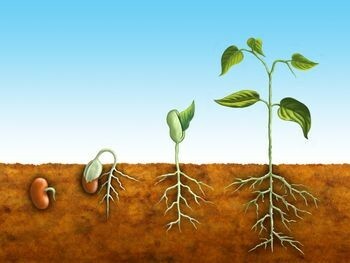 Thoughts are like seeds in the soil of our consciousness … in order for them to bear fruits "out there", special care and attention is needed on a daily basis. Thoughts & words like "I'll try…", "let us hope…" "maybe…" change turn into… "I will do it! ", "done!"